How to Develop a Use Case Report in Minutes? Current: How to Develop a Use Case Report in Minutes? Writing project documents can be time consuming and cumbersome. Fortunately, Visual Paradigm provides various ways that let you produce the kind of document you want effortlessly. In this tutorial you will learn how to create a simple use case report with the help of Doc. Composer. 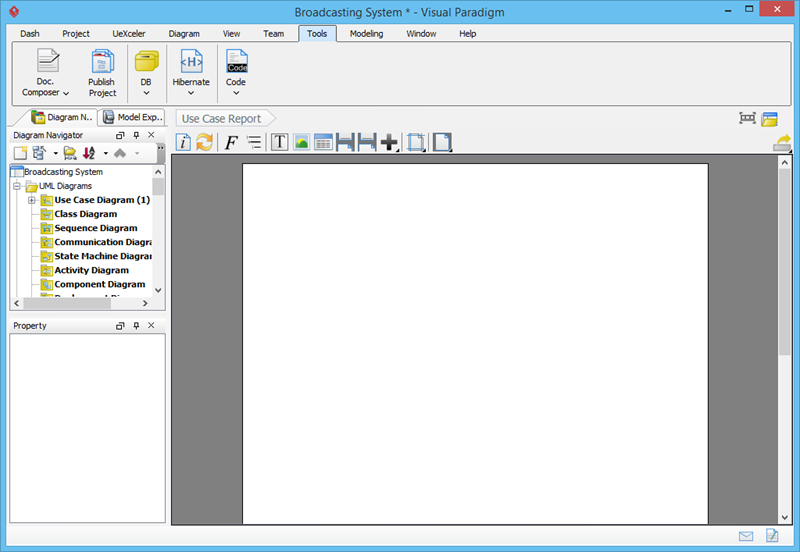 Download Broadcasting-System.vpp and open it in Visual Paradigm. You can also find this file at the bottom of this tutorial. Select Tools > Doc. Composer from the application toolbar. Click on Build Doc from Scratch. Name the document by double clicking on Document1 in the breadcrumb. Then, type Use Case Report. Collapse the toolbar temporarily for more editing space. To do this, double clicking on the Tools menu. Let's add content into the document. A document is formed by dragging element templates into the document. Each element template defines what and how content gets output in a document. For example, a Data Dictionary template is capable in producing a data dictionary in a document, with dedicated type of project data presented in the data dictionary (table). Each type of project data has its own set of element templates. You have Data Dictionary template for Entity Relationship Diagram and Sub Diagrams template for Use Case, etc. Doc. Composer comes with a set of built-in element templates, but you can also create and edit custom templates. For example, you can create a custom template to output a table of actors' details, and then a list of use cases, and then a list of sub-diagrams. You will learn how to do this in other articles. 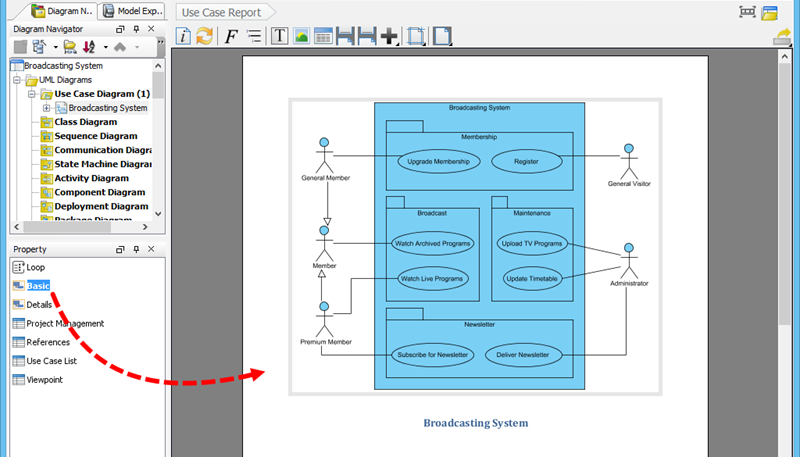 Select the use case diagram Broadcasting System from the Diagram Navigator. Drag the Basic template from the Template pane and drop it on the document. You should see an image of use case diagram shown in the document. 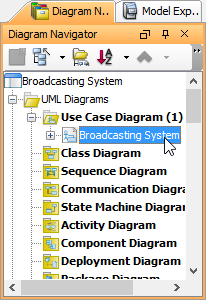 Next, show a use case's basic details under the use case diagram. 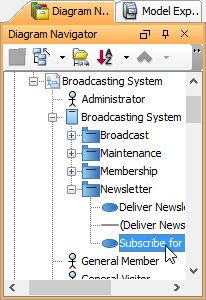 Select the Subscribe for Newsletter use case on Diagram Navigator. 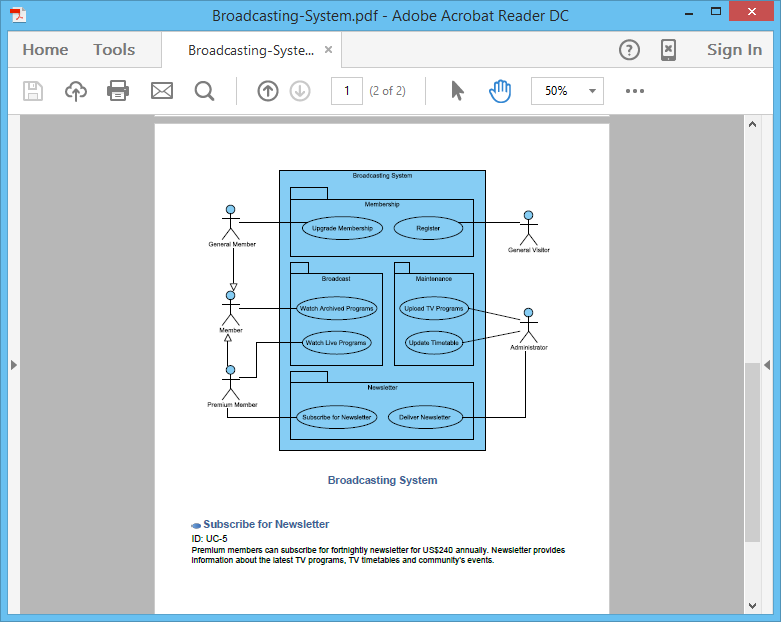 Drag the Basic template from Template pane and drop it onto Doc. composer. 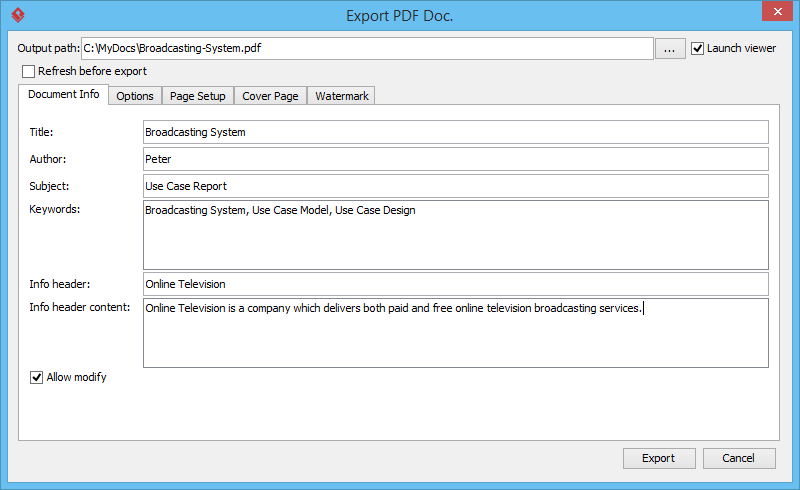 The output of document can be exported to HTML / PDF / Word document. Let's export the finished document to PDF document. 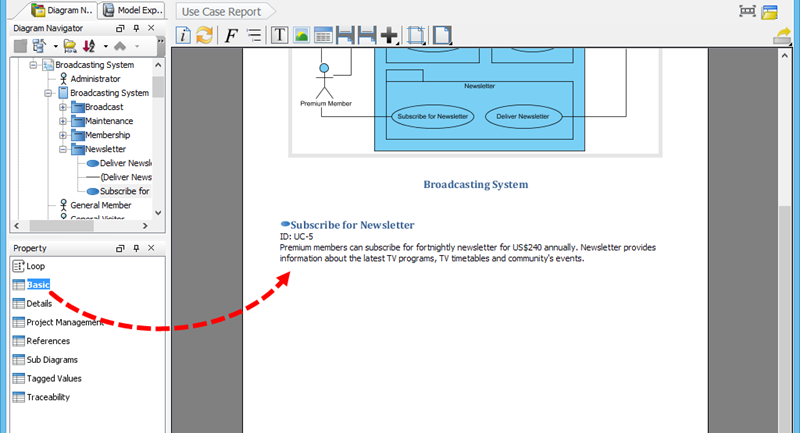 Click Export at the top-right corner of the document and select PDF Document... from the pop-up menu. In the Export PDF Doc. window, specify the output path and fill document information under Document Info tab. Click Export. A simple use case report is produced. Enjoy! Microsoft Word is a registered trademark of Microsoft Corporation in the U.S.